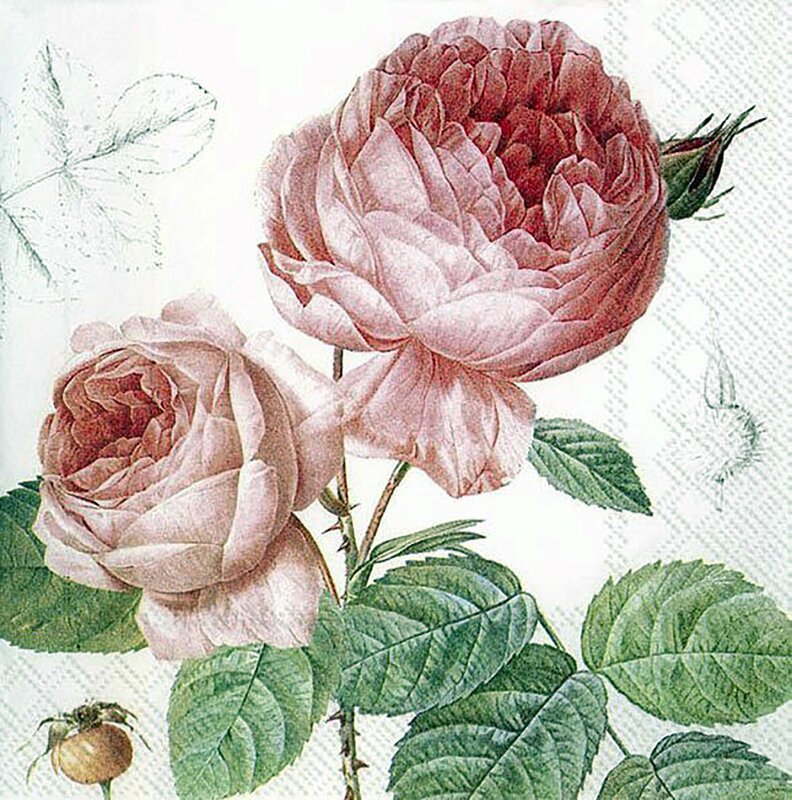 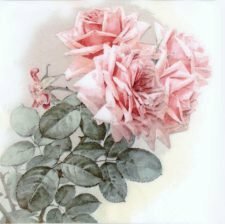 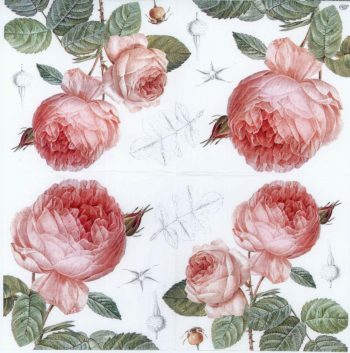 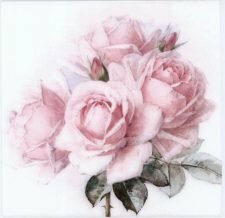 Napkin decoupage with this splendid decoupage napkin featuring a beautiful image of a vintage roses printed on a 3-ply paper napkin in Holland. These designer paper napkins are perfect decoupage paper napkins and also make excellent lunch and dinner napkins for dining, parties and special events. Paper napkin is a standard cocktail size, measuring 5″ x 5″ (12.5 cm x 12.5 cm) folded, 10″ x 10″ (25 cm x 25 cm) when unfolded.